7/2/2013: 2013 Arts by the River Doubles Attendance! Teaching how to work the wheel. Hands on and kid friendly. Photo provided. The fourth annual Arts by the River looks to be bigger and better then ever. The event will be held Saturday and Sunday, June 21 & 22 at Riverfront Park in Mankato. The family friendly event is free until 5:00 pm and costs $10.00 for people entering after 5:00 pm. Those hands on experiences will include activities by the Children’s Museum of Southern Minnesota and Key City Bike as well as different activities with some local artists. Arts by the River is a fine arts festival, but there is something for everyone. There will be food, art and live music at the two day festival. Holly Ulm is a returning artist. Another new addition to the festival is food trucks. People will be able to buy high quality art and meet 20 different artists at the main artist tent. The Vetter Stone Amphitheater will be filled with talented performers throughout both days of the festival. There will also be entertainment at the Vetter Stone Amphitheater. The festival will run Saturday from 10:00 am – 10:00 pm and Sunday from Noon – 5:00 pm. For a complete list of artists, activities and performances visit the Arts by the River Web page. MANKATO, Minn. - Arts by the River is looking for dedicated volunteers to help make this fine arts and music festival a success on Saturday June 21 and Sunday June 22. Arts by the River is an art and music festival dedicated to bringing fine arts to the forefront of the Southern Minnesota region. Located in the beautiful Riverfront Park, Arts by the River will bring together the community with the opportunity to view and purchase a wide variety of fine arts, experience artist demonstrations, listen to live music performances in the Vetter Stone Amphitheatre and enjoy fabulous food and drink vendors. The Children’s Museum of Southern Minnesota and other arts and culture organizations will also be present with an area for children’s activities to keep the whole family entertained. Arts by the River is a collaborative festival organized by Twin Rivers Council for the Arts, the Verizon Wireless Center, KMSU Radio, the City of Mankato, the Children’s Museum of Southern Minnesota, and Key City Bikes. The volunteer form can be found at Forms/Volunteer.aspx. For additional information about Arts by the River or volunteering, please contact Jessica Ortis, Events Coordinator at 320-412-6703 or artsbytheriver@twinriversarts.org. MANKATO, Minn. – Twin Rivers Council for the Arts, The City of Mankato, Verizon Wireless Center, and KMSU-Radio are please to present the fourth annual Arts by the River fine arts and crafts music festival in Mankato’s Riverfront Park June 21 and 22, 2014. Arts by the River is an art and music festival dedicated to bringing fine arts to the forefront of the Southern Minnesota region. The festival creates opportunities for the community to view and purchase a wide variety of fine arts and crafts, experience artist demonstrations, and listen to live music while enjoying fabulous food and beverages. There will also be an area for children’s activities to keep the whole family entertained. Arts by the River will feature visual artists who will display and sell original, handcrafted and one-of-a-kind jewelry, paintings, prints, ceramics, textiles, sculpture and photographs. Also featured will be local arts and culture groups. Artist applications can be found at http://artsbytheriver.com/apply.aspx. The deadline for application is March 1. Early Bird Special: For those that submit their application by December 1, 2013 can apply with NO JURY FEE ($35 savings). For additional information about Arts by the River, please contact artsbytheriver@twinriversarts.org or call 507-387-1008. 2013 Arts by the River Doubles Attendance! The 2013 Arts by the River fine arts and music festival was on June 8 and 9 in Mankato’s Riverfront Park and featured 45 artists and art organizations, 18 live performances – including the Gear Daddies – and brought in more than double last year’s attendance. Next year’s festival is planned for June 21 and 22, 2014 in Riverfront Park. Applications for artists, groups and volunteers are available at www.artsbytheriver.com. Application fees will be waived for applications received prior to December 1. Arts by the River is an art and music festival dedicated to celebrating fine arts and live music in Southern Minnesota. Its mission is to bring together the community with the opportunity to view, learn about, and purchase a wide variety of fine arts, experience artist demonstrations, listen to live music and performances, and enjoy food and beverages at Riverfront Park in Mankato. Mankato, MN – The City of Mankato, Verizon Wireless Center, KMSU Radio and Twin Rivers Council for the Arts have joined forces to present the Arts by the River fine arts and crafts music festival in Mankato’s Riverfront Park June 8 and 9, 2013. Arts by the River is an art and music festival dedicated to bringing fine arts to the forefront of the Southern Minnesota region. The festival creates opportunities for the community to view and purchase a wide variety of fine arts and crafts, experience artist demonstrations, and listen to music while enjoying fabulous food and beverages. Arts by the River features visual artists throughout Minnesota who will display and sell original, handcrafted and one-of-a-kind jewelry, painting, prints, ceramics, textiles, sculptures and photographs. Arts and culture organizations will also present with Saturday morning children’s activities to keep the whole family entertained, as well as daily demonstrations of different art mediums. 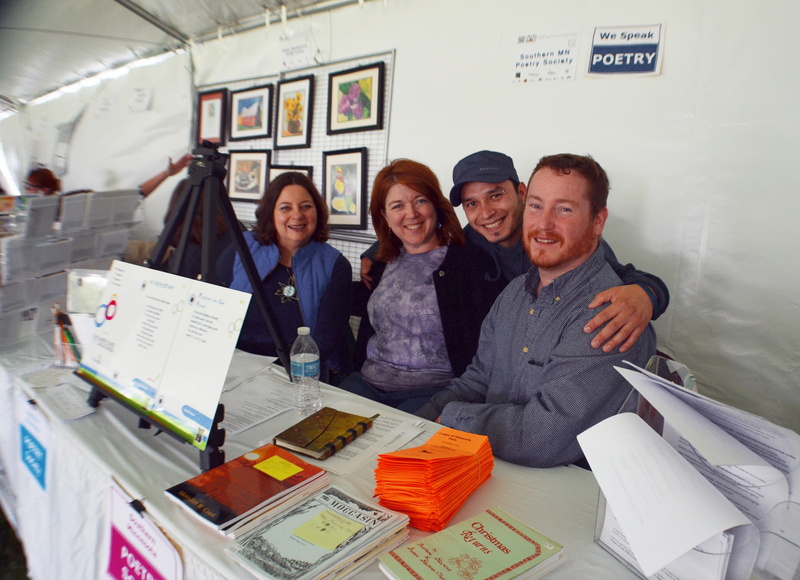 There are several volunteer positions available during the festival. These include: Artist Set-Up, Artist Hospitality, Greeters, Clean-Up, Artist Take-Down, Family Friendly Entertainment. To volunteer please visit Forms/Volunteer.aspx by May 31st. Twin Rivers Council for the Arts is a non-profit organization that champions the development of our region as a cultural, artistic and tourism destination. For additional information about Arts by the River or volunteering, please contact Jessica Ortis, Events Coordinator at 320.412.6703 or artsbytheriver@twinriversarts.org. MANKATO, Minn.—The City of Mankato, Verizon Wireless Center, KMSU-Radio and Twin Rivers Council for the Arts have joined forces to present the 3rd annual Arts by the River fine arts and crafts music festival in Mankato’s Riverfront Park June 8 and 9, 2013. Arts by the River will feature visual artists throughout Minnesota who will display and sell original, handcrafted and one-of-a-kind jewelry, paintings, prints, ceramics, textiles, sculpture and photographs. Artist Applications can be found at <http://artsbytheriver.com/apply.aspx>. The deadline for application is April 1st. TRCA is a non-profit organization that facilitates the development of our region as a cultural, artistic and tourism destination. Additionally, TRCA cultivates public participation by connecting people to the arts and serves as a strong advocate for the arts as a means of ensuring economic vitality. For additional information about Arts by the River, Twin Rivers Council for the Arts or the collaboration, please contact Barbe Marshall Hansen, Executive Director at 612.201.4000. MANKATO, Minn.— The second annual Arts by the River fine arts festival featured over 40 artists and arts organizations, ten live bands, and brought in approximately 2,500 visitors to Riverfront Park during the weekend of June 9th and 10th. The collaborative event, organized by Twin Rivers Council for the Arts, Verizon Wireless Center, the City of Mankato, and KMSU also featured artist awards, as follows: Best in Show, Gary Moore of Kasota, MN; Second Place, Carl Schick of Owatonna, MN; Third Place, Mark Hall of Kasota, MN; and Honorable Mention, Ke Dauffenbach of Owatonna. Arts by the River is an art and music festival dedicated to bringing fine arts and live music to the forefront of the Southern Minnesota region. Its mission is to bring together the community with the opportunity to view and purchase a wide variety of fine arts, experience artist demonstrations, listen to live music and enjoy fabulous food and drink vendors. MANKATO, Minn.— The second annual Arts by the River will be held on June 9th and 10th in Riverfront Park, Mankato. Arts by the River will feature visual artists from throughout Minnesota who will display and sell original, handcrafted, one-of-a-kind jewelry, paintings, prints, ceramics, textiles, sculpture and photographs. The juried fine art festival will feature 28 regional artists as well as 15 local artists in the Community Showcase tent. The Children’s Museum of Southern Minnesota will also be present with an area dedicated to artistic children’s activities to keep the whole family entertained. Mason Jennings will headline the June 9th concert. Other bands for the weekend include The Pines and The Galactic Cowboy Orchestra. Tickets will be available at the festival gates. Visitors will not need to pay admission before 6pm on Saturday. The mission of Arts by the River is to bring fine arts to the forefront of the Southern Minnesota region. The festival is an effort to create an opportunity for the community to view and purchase a wide variety of fine arts and crafts, experience artist demonstrations, and listen to live music while enjoying fabulous food and beverages. More information can be found at www.artsbytheriver.com or by calling Twin Rivers Council for the Arts at 507.387.1008. Arts by the River is organized by Verizon Wireless Center, the City of Mankato, and Twin Rivers Council for the Arts. TRCA is a non-profit organization that facilitates the development of our region as a cultural, artistic and tourism destination. Additionally, TRCA cultivates public participation by connecting people to the arts and serves as a strong advocate for the arts as a means of ensuring economic vitality. MANKATO, Minn.—The City of Mankato, Verizon Wireless Center and Twin Rivers Council for the Arts have joined forces to present the 2nd annual Arts by the River fine arts and crafts festival in Mankato’s Riverfront Park June 9 and 10, 2012. Arts by the River is an art and music festival dedicated to bringing fine arts to the forefront of the Southern Minnesota region. The festival is an effort to create an opportunity for the community to view and purchase a wide variety of fine arts and crafts, experience artist demonstrations, and listen to live music while enjoying fabulous food and beverages. The Children’s Museum of Southern Minnesota will also be present with an area for children’s activities to keep the whole family entertained. Artist Applications can be found under the Artists tab. The deadline is April 1. For additional information about Arts by the River, Twin Rivers Council for the Arts or the collaboration, please contact Tim Berry at 507.387.1008. MANKATO, Minn.—The inaugural 2011 Arts by the River fine arts and crafts festival on June 11 and 12 in Mankato’s Riverfront Park featured nearly 50 artists and art organizations, eight live bands – including Trampled by Turtles – and brought in more than 4,000 attendees, marking the event as a success. The collaborative event, organized by Twin Rivers Council for the Arts, the Verizon Wireless Center and the City of Mankato, also included artist awards for the Best in Show, Jon Smithers of St. Peter; Second Place for Carl Schick of Owatonna; Third Place for Patty Conlin of St. Peter and Honorable Mentions going to Mark Hall of Kasota and Bryan Holland of St. Peter. Next year’s fair is already in the planning stages and is slated for June 9 and 10, 2012 in Riverfront Park. Arts by the River is a art and music festival dedicated to bringing fine arts and live music to the forefront of the Southern Minnesota region. It’s mission is to bring together the community with the opportunity to view and purchase a wide variety of fine arts, experience artist demonstrations, listen to live music and enjoy fabulous food and drink vendors. The arts as a community asset are growing in the Mankato region, and the effort deserves support because arts as part of community development will lead to economic development. People have to like living and working here to sustain and increase community growth. The arts can play a big role in that attractiveness. Several efforts are already underway. CityArts is a new kind of art show that will feature 15 to 20 sculptures in downtown Mankato, along Hickory and Second streets as well as along Belgrade Avenue in North Mankato. The event is modeled somewhat after a similar effort in Sioux Falls, S.D., known as ScupltureWalk, where in the end the best piece of public art is voted on and is then purchased from the artist. There is $10,000 set aside for the purpose of purchasing the art in the Mankato event. The City Center Partnership — a business group — is sponsoring and helping fund the CityArts event. The Andreas Foundation also has pledged $10,000 for each of the next five years. Twin Rivers Center for the Arts, the local arts nonprofit umbrella organization, is also supporting the sculpture event as well as a new Arts by The River art fair scheduled for June 11-12 at Riverfront Park. That is expected to draw dozens of artists through a juried exhibit process. Artists must be approved by a panel before they are allowed to display. That helps keep the quality of the art at a high level. At the Arts by the River event, the Children’s Museum of Southern Minnesota will provide activities for children. The arts events will likely draw spectators from around the region and are a good example of the arts community and business community working together for the betterment of the Mankato region. Part of the credit goes also to the Envision 2020 process that involved some 500 citizens in coming up with ways to improve the attractiveness and draw of the area. We’re well on our way to doing that with these two events. We expect more will grow from those as the word gets out the Mankato cares about and nurtures the arts. MANKATO — Two new art shows — one a walking tour of downtown sculptures and the other an art fair — are coming to Mankato next May and June. CityArts hopes to put 15 to 20 sculptures in downtown Mankato along Hickory and Second streets as well as along Belgrade Avenue in North Mankato by May 21, said Tami Paulsen, leading the effort for the City Center Partnership, a city-funded business group. The Andreas Foundation pledged $50,000 to the effort, $10,000 a year for five years, Paulsen said. CityArts is in part modeled after the Sioux Falls SculptureWalk, which has a “People’s Choice” award determined by public voting. As in Sioux Falls, the most popular sculpture will be purchased from the artists. The City Center Partnership has set aside $10,000 for that purpose. The sculpture event is also presented in part by the Twin Rivers Center for the Arts, which is the lead agency behind the art fair, called Arts By The River. Scheduled for June 11-12 of 2011 at Riverfront Park, the art fair’s entrants must be approved by a panel before they may be displayed. “Artists prefer juried art fairs because it keeps the quality high,” said Shannon Robinson, executive director of the arts center. A website, www.artsbytheriver.com, is slated to be up by Oct. 1, she said. The Children’s Museum of Southern Minnesota has agreed to provide activities for kids. Verizon Wireless Center staff are looking to book a national act on the night of June 11 to keep the visitors in Mankato. Both events are to some extent funded by the city of Mankato. The city gave $25,000 each to the arts center and the business association in 2010. The city ties its funding of these groups to measurable outcomes like an increase in economic activity, assistant City Manager Tanya Ange said. The arts center also received $8,000 in this fiscal year from the 19.75 percent of the three-eighths percent sales tax that goes toward the arts. Robinson said she learned Thursday the arts subset of the tax, called the Arts and Cultural Heritage Fund, also had approved $7,000 for the sculpture event. Depending on other grants that can be found for the sculptures, organizers may ask the city of Mankato for $8,500 and North Mankato for $2,500. Those appropriations have not been approved by either city council. The art fair and sculpture walk have been in the works since Envision 2020, a community planning process that wrapped up in 2006. It’s more or less a coincidence that they are coming to fruition a few weeks apart.